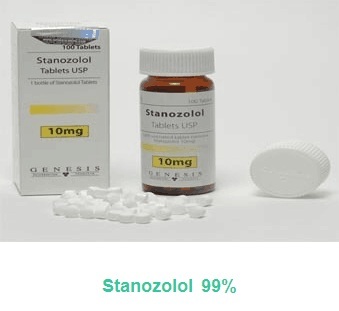 Stanozol (abbrev. Stz), sold under many brand names, is an androgen and anabolic steroid (AAS) medication which was derived from dihydrotestosterone (DHT). It was developed by American pharmaceutical company Winthrop Laboratories (Sterling Drug) in 1962, and has been approved by the U.S. Food and Drug Administration for human use, though it is no longer marketed in the USA. It is also used in veterinary medicine.Stanozolol has mostly been discontinued, and remains available in only a few countries.It is given by mouth in humans or by injection into muscle in animals. What is stanozolol used for? Unlike most injectable AAS, stanozolol is not esterified and is sold as an aqueous suspension, or in oral tablet form. The drug has a high oral bioavailability, due to a C17α alkylation which allows the hormone to survive first-pass liver metabolism when ingested. It is because of this that stanozolol is also sold in tablet form. Stanozolol is used for physique- and performance-enhancing purposes by competitive athletes, bodybuilders, and powerlifters. Stanozolol is one of the AAS commonly used as performance-enhancing drugs and is banned from use in sports competition under the auspices of the International Association of Athletics Federations (IAAF) and many other sporting bodies. Additionally, stanozolol has been used in US horse racing. Side effects of stanozolol include virilization (masculinization), hepatotoxicity, and others. What is stanozolol used for in bodybuilding? Stanozolol is an effective anabolic steroid that is used by bodybuilders to get lean during their cutting cycles. It is also used by athletes to gain power and strength. Stanozolol steroid is great for stacking because it inhibits SHBG in the body. What does stanozolol do to your body? This agent may stimulate fat loss while retaining lean body mass, and may induce hemoglobin production and red blood cell formation; therefore, stanozolol may be used to treat wasting diseases or anemia. Stanozolol has is a synthetic anabolic steroid with therapeutic uses in treating hereditary angioedema. Is stanozolol good for weight loss? Stanozolol only gives positive results if you are intaking a good diet. Most of the bodybuilders are used to drop body fat in stubborn areas like visceral and abdominal fat without loss in bulking of muscle and body’s strength without causing to weight gain again. Keeping reducing fat, your diet is full of protein. Does stanozolol cause hair loss? Is stanozolol legal in UK? In the UK, steroids are a Class C controlled substance, meaning it’s not an offence to possess them, but manufacturing them, supplying them or exporting them without a licence is illegal, as is buying them online and having them shipped to the UK.